NFC Isn’t Just for Football: Is Near Field Communication a Star or Bust for Direct Mail? Fall officially starts in a few days, which means the National Football League regular season is in full swing (Go Colts!). If you asked most Americans what the initials “NFC” stand for, they would tell you “National Football Conference, of course.” However, those of us involved in multi-channel marketing campaigns know it also stands for Near Field Communication (NFC), just one of several technologies that can be used to link physical and digital media. We all know the tangibility of a well-designed physical mailpiece is a way to get the attention of prospects and customers. But we also know that mobile savvy consumers often want to interact with potential businesses through a variety of electronic devices. 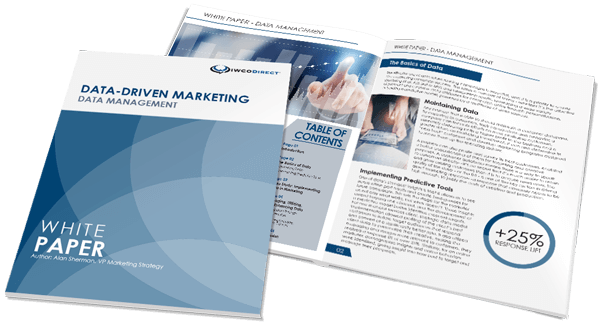 Smart marketers are adding value to their direct mail offers by making it seamless for recipients to engage with them through their preferred channels. This is a concept well understood by our friends with the U.S. Postal Service marketing team. They have been offering a series of promotions over the last several years to encourage mailers to try a variety of technologies, including NFC, that can make it easier for recipients to interact with a mailpiece and increase response rates. NFC is one of the newer options for digital engagement. It involves placing a small transmitter chip on the mailpiece that can link NFC-enabled mobile devices (Androids, but not iPhones at this point, aside from Apple Pay) to related web sites or other digital experiences. We expect to see use of NFC increase in the future as the price of chips comes down and more types of tablets and smartphones adopt NFC technology. Until that takes place, one of the simplest ways to connect physical and digital media is to create a personalized landing page (also known as a personalized URL or PURL) for each recipient that matches the look and feel of the mailpiece and addresses each recipient individually. You can then include a variable QR code or other mobile readable barcode on the mailpiece that the recipient can scan with a tablet or smartphone, taking them easily and directly to the page you have created especially for them. Don’t forget to include the address of the PURL in a human-readable format as well – some of your recipients may want to access the site from a laptop or desktop rather than a mobile device. Another option to engage direct mail recipients electronically is through augmented reality (AR). In keeping with our football theme, one of the most common examples of AR is the bright stripe added to the field during a televised game to identify the line of scrimmage or the distance needed to gain a first down. In direct mail, AR allows recipients with an appropriate app to scan an image on the mailpiece to do things ranging from launching a related video to popping up a three-dimensional, interactive game. Want to explore the options for making your next campaign a touchdown and not a fumble? Give the IWCO Direct team a call. And don’t forget, go Colts.